Good news, the major investment banks have started to open their doors to new recruits once more. The bad news, however, is that the recruitment process has gotten much tougher over the last few years. To make matters worse the number of prospective candidates has increased and the number of jobs they are applying for has decreased. So, if you want to join an investment bank you will need to be prepared for a tough application process. Fortunately, we have explained the process on a step-by-step basis below. It is believed that more than half of investment bank candidates fail the first stage, the application form and the curriculum vitae (CV). So where do they go wrong? Well poor written English is a common problem. Most companies will reject poorly spelt submissions without bothering to take a closer look at the content itself. It may sound like an obvious mistake that most people should be able to avoid, although if you have been completing various application forms it is easy to make a mistake or cut and paste the wrong details. Some applications have been known to get the name of the bank wrong on their form, adding insult to injury! To avoid falling at the first hurdle make sure that you give due care and attention to each application that you make. Try to focus on getting two or three applications perfect instead of trying to rush off applications to as many institutions as possible. If you need to submit a CV, make sure that you choose a format that is easy to read and try to leave a reasonable amount of ‘white space’ to encourage the reader to digest each section. Use bullet points but don’t resort to simply making lists of past experiences. Saw what you did but also summarise what you achieved. It’s perhaps not a surprise that banks are increasingly using numeracy tests to ensure that the candidates they select are at the very least competent with numbers. Some firms also use language tests to make sure that second language candidates have the ability to use English whilst working under pressure. These tests are usually timed and usually take place fairly early in the application process. There’s no logical way in which you can revise for such tests, but it can help to be familiar with the format, and to practice working under time pressure. It is expected that the testing phase will reduce the number of candidates by a further 50%. The interview stage is often the most time-consuming, and is probably more accurately described as the multiple interview stage. 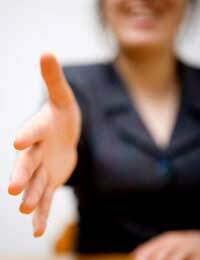 Most banks prefer to interview potential candidates more than once. Most financial institutions aim to conduct at least two rounds of interviews, perhaps a preliminary interview with someone from Human Resources, and further interviews with line managers and key decision makers. The early stage interviews are not designed to make you nervous or put you under pressure. Instead, they are about getting more background about candidates that allow the selectors to ‘flesh out’ the details on the CV. Investment banking is a very singular business and it is important for companies to determine whether the people that apply for roles are committed to the industry and have the right level of drive and motivation to succeed in such an environment. In later interviews, companies expect the right candidates to demonstrate a strong aptitude for the roles they are being considered for. A working knowledge of the industry and current events is vital to demonstrate your commitment. It always pays to have prepared some answers to likely questions too. After you’ve made it through the interview stage, don’t relax just yet. It is more than likely that the final hurdle you will be expected to face will be the assessment centre. The purpose of assessment centres is to hold potential candidates up to greater scrutiny under conditions which are likely to be similar to those you will be expected to face during the role itself. Assessment centres aim to bridge the gap between a well rehearsed candidate that can perform well at interview, and someone who demonstrates a real aptitude for the work itself. Such assessments usually take place over a single day and could include further interviews and tests, but will also involve group discussions, problem solving tasks and presentations. This is, of course, a highly stressful and competitive environment, and certainly not for everyone. It is believed that between 25% and 50% of candidates (often a group of 12) who attend will ultimately receive a job offer. There’s no right or wrong way to behave on such assessments, although it is recommended that shy people should try to speak up where they feel they have something to contribute, whilst louder people should try to make sure that their personality doesn’t inhibit the rest of the group. Should you make it beyond the assessment centre, then congratulations you are well on the way to forging a successful career in the investment banking industry. If you are not so fortunate, do not be disheartened. Most candidates have to make more than one attempt to get the job they want and learning from your mistakes is always a quality that companies expect from their employees.